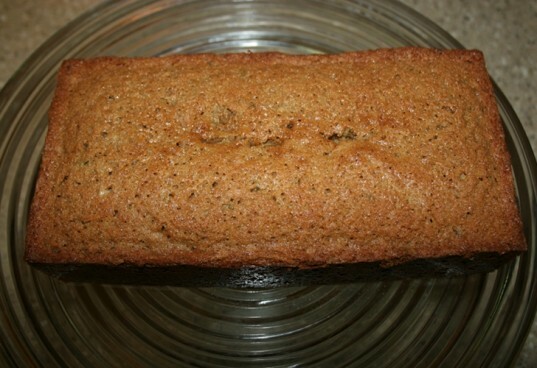 Try this delicious vegetable bread that even your children won't mind eating! 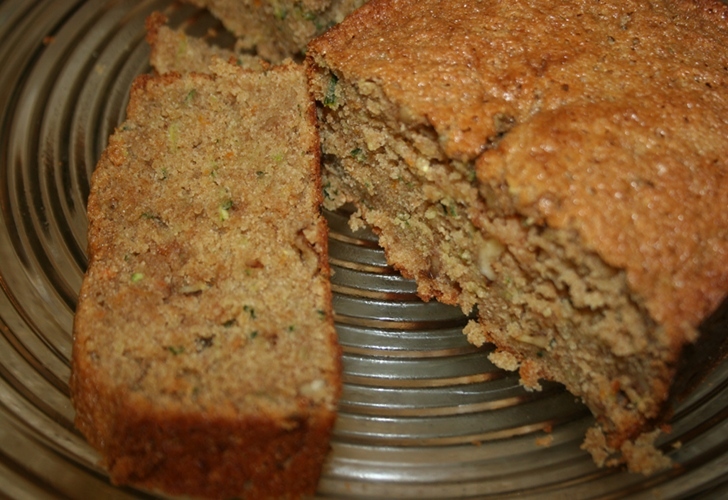 Made with high protein organic quinoa flour, zucchini and carrots, this is a great way to start your day. Serve plain or warm with coconut oil, butter, strawberry jam or cream cheese. Keep reading to learn how to make this scrumptious Zucchini Carrot Quinoa Bread and find printable, one-page instructions here. Heat your coconut oil. In a mixing bowl, combine oil, sugar and eggs. 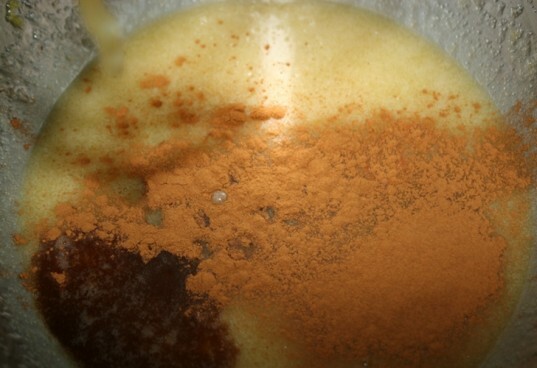 Add the vanilla and cinnamon to your bread mixture. Blend well. Grate your zucchini and carrots. Add to mixture and blend. In a bowl, add the flours, baking soda and baking powder. Then slowly add to the mixture and blend. 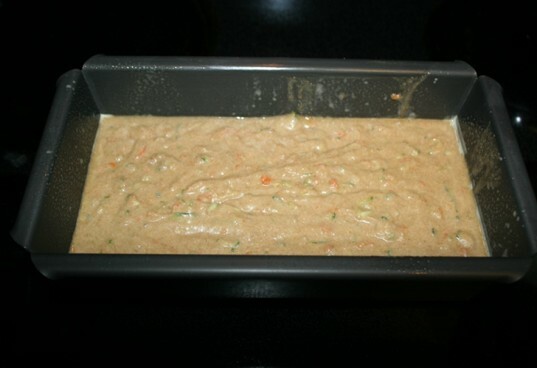 Grease a large loaf pan or 2 regular sized loaf pans. I used a 10x5x3 large loaf pan by ManPans. Pour batter into pan and bake for 45-55 minutes. Heat your coconut oil. 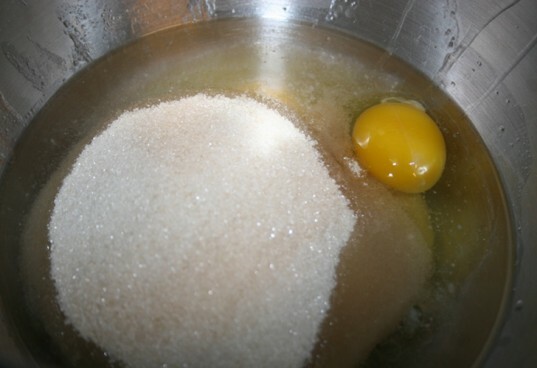 In a mixing bowl, combine oil, sugar, and eggs. Add the vanilla and cinnamon to your bread mixture. Blend well. Grate your zucchini and carrots. Add to mixture and blend. 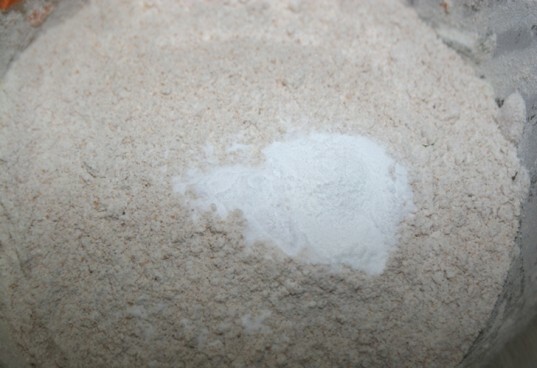 In a bowl, add the flours, baking soda, and baking powder. Then slowly add to the mixture and blend. Grease a large loaf pan or 2 regular sized loaf pans. Pour batter into pan and bake for 45-55 minutes. Heat your coconut oil. In a mixing bowl, combine oil, sugar, and eggs. In a bowl, add the flours, baking soda, and baking powder. Then slowly add to the mixture and blend. Ingredients 2/3 cup coconut oil melted 3 organic cage free eggs 1 1/2 cup organic cane sugar 2 cups organic grated zucchini 1/2 cup organic grated carrots 2 teaspoons organic vanilla extract 2 tablespoons organic cinnamon 1/4 teaspoon baking soda 1 teaspoon baking powder aluminum free 1 cup organic quinoa flour 1 cup organic whole wheat flour Heat your coconut oil. 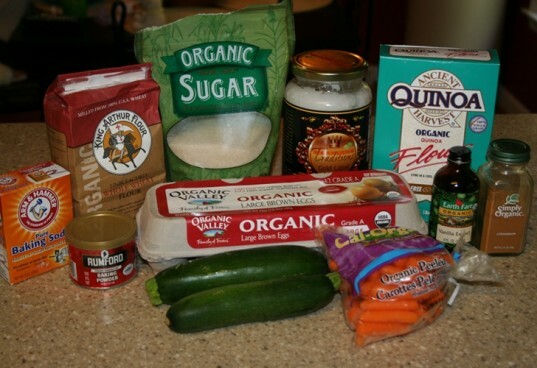 In a mixing bowl, combine oil, sugar, and eggs. Add the vanilla and cinnamon to your bread mixture. Blend well. 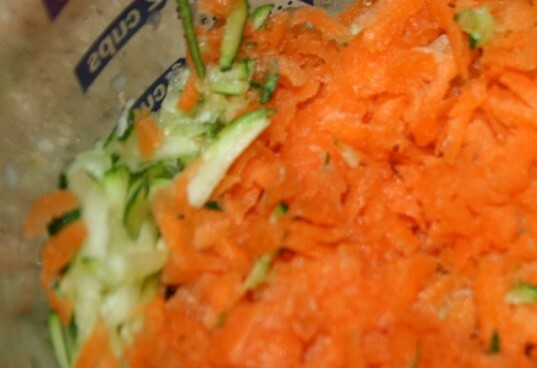 Grate your zucchini and carrots. Add to mixture and blend. In a bowl, add the flours, baking soda, and baking powder. Then slowly add to the mixture and blend. Grease a large loaf pan or 2 regular sized loaf pans. Pour batter into pan and bake for 45-55 minutes.